•	Selected by Golden State in the first round of the 2012 NBA Draft (seventh overall). •	Named to 2012-13 NBA All-Rookie First Team. •	Enters 2015-16 owning career averages of 9.6 points, 4.6 rebounds, 1.4 assists and 27.3 minutes in 241 regular-season games (187 starts) over three seasons with Golden State. •	Has appeared in 40 playoff games (33 starts) with Golden State, averaging 11.8 points, 5.4 rebounds and 1.4 assists in 32.5 minutes per contest and helping Golden State to the 2014-15 NBA Championship. •	Over a career-high 82 games (all starts), set career highs in points (10.1), rebounds (5.5), field goal percentage (.482) and three-point percentage (.405) to go with 1.4 assists in 28.3 minutes. •	Was the only Warrior to appear in all 82 regular season games, one of 11 players in the NBA to do so during the 2014-15 campaign. •	Posted a 50-7 (.877) record as a starter along with Andrew Bogut, Stephen Curry, Draymond Green and Klay Thompson, comprising the team’s best five-man unit (min. 20 games) since the NBA began tracking starters in 1970-71 and the second-best starting five (min. 40 games) in NBA history, behind only the 1995-96 Chicago Bulls. •	Recorded five 20-point games and six double-doubles. •	Swiped a season-high four steals on 4/4 at Dallas. •	Hit the game-winning shot with 0.4 seconds remaining on 4/2 vs. Phoenix, his first career game-winner with two seconds or less remaining in the final period. •	Posted 22 points on 3/20 vs. New Orleans, recording back-to-back 20-point games in the regular season for the first time in his career. •	Scored a season-high 25 points on 3/18 vs. Atlanta, matching a career-high with 11 made field goals (11-of-13 FG). •	Dished out his 300th career assist on 3/6 vs. Dallas. •	Became the 75th player in franchise history to reach the 2,000-point threshold for his career on 2/9 at Philadelphia. •	Scored a then-season-high 23 points on 1/5 vs. Oklahoma City by hitting a career-high-tying five three-pointers, becoming the first Warrior to hit at least five threes without a miss since Anthony Morrow on 3/8/10. •	Tied a career-high with 13 rebounds to go along with 12 points on 12/25 at the L.A. Clippers. •	In 21 postseason games (all starts), posted averages of 10.6 points, 5.2 rebounds and 1.5 assists in 32.4 minutes. •	Scored a 2015 Playoff-high 24 points on 5/27 vs. Houston, the fifth 20-point game of his playoff career. •	Scored in double figures seven-straight times (5/3-5/19), tying a playoff career-best streak. 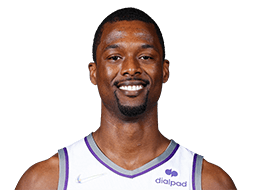 •	Hit his 30th career postseason three-pointer on 4/23 at New Orleans, passing Jason Richardson for third on the franchise’s all-time playoffs three-pointers made list (behind only teammates Stephen Curry and Klay Thompson)... Blocked a playoff career-high two shots in that contest. •	In 78 games (24 starts), averaged a career-high 9.5 points, 4.0 rebounds and 1.5 assists in 28.3 minutes. •	In 24 starts, averaged 12.2 points, 4.7 rebounds and 2.1 assists in 36.4 minutes. •	Scored a career-high 30 points in the regular season finale on 4/16 at Denver, playing in all 48 minutes of the contest for the first time in his career... Hit a career- high 11-of-21 from the field in the contest. •	Had his highest scoring total off the bench on 12/8 at Phoenix, tallying 23 points in 36 minutes. •	Scored 20 points and grabbed a season-high 12 rebounds on 12/13 vs. Houston for his second career 20-point/10-rebound game. •	Recorded a career-best four steals on 12/6 at Houston. •	Set then career-highs in points (26) and field goals made (10) on 11/29 at Oklahoma City. •	Played a career-high 49 minutes on 11/20 vs. Memphis. •	Made his season debut on 11/6 at Minnesota, scoring 14 points in only 14 minutes in his first career game coming off the bench. •	Missed the season’s first four games with left toe inflammation before playing in all 78 remaining games. •	Participated in the Rising Stars Challenge at NBA All-Star Weekend, joining Stephen Curry and Jason Richardson as the only Warriors to play in the game as both a rookie and sophomore... Finished with 16 points in 23 minutes in the game. •	Participated in the Sprite Slam Dunk, becoming the first Warrior to compete in the event since Jason Richardson in 2004 and just the third Warrior ever in the Slam Dunk (Otis Smith). •	Appeared in all seven postseason games, averaging 7.9 points, 4.0 rebounds and 1.1 assists in 22.3 minutes. •	Appeared in 81 games (all starts), averaging 9.2 points, 4.1 rebounds and 1.2 assists in 25.8 minutes, earning First Team All-Rookie honors. •	Among rookies, ranked fifth in scoring, 10th in rebounding, 10th in field goal percentage and seventh in three-point percentage. •	His 81 starts were second most among rookies, behind only Portland’s Damian Lillard (82 games). •	Was selected as a starter for Team SHAQ in the BBVA Rising Stars Challenge at NBA All-Star Weekend, tallying 12 points in 19 minutes. •	Scored a season-high-tying 21 points on a career-high nine field goals (9-of-11) on 2/2 vs. Phoenix. •	Also tallied 21 points on 8-of-11 shooting (5-of-6 from deep) on 1/13 at Denver. •	Scored in double-figures 36 times and tallied 20-plus three times. •	Recorded four double-doubles, including a 20-point, 12-rebound performance on 11/19 vs. Dallas, the first 20/10 game by a Warriors rookie since Stephen Curry notched a triple-double (36 points, 13 assists, 10 rebounds) on 2/10/10 vs. the Clippers. •	Tallied 19 points and a career-high 13 rebounds in 40 minutes on 11/14 vs. Atlanta, the first time a Warriors rookie recorded at least those figures since Anthony Randolph went for 24 points and 16 rebounds on 4/13/09 vs. San Antonio and the first time a Warriors rookie had 13 rebounds since Chris Hunter grabbed 13 on 3/6/10 at Charlotte. •	Made his NBA debut on 10/31 at Phoenix, totaling six points and three rebounds and becoming the youngest Warrior (20 years, 154 days) to start a season opener since Joe Smith (20 years, 100 days) started on 11/3/95 at Houston. •	Missed one game (1/29 at Cleveland) with a sore left knee. •	Appeared in 12 playoff games (all starts), leading all rookies with 16.1 points and 6.4 rebounds to go with 1.3 assists in 38.4 minutes, the first rookie to average at least 16 points and six rebounds in the playoffs (min. 10 games) since David Robinson in 1990. •	Scored 20-plus points in four games after doing so just three times during the regular season, including consecutive 25-point games on 5/12 and 5/14 vs. San Antonio, becoming the first Warriors rookie since Tom Meschery in 1962 to post consecutive games of 25-plus points in the postseason, and the first player under the age of 21 ever to do so in the NBA. •	Scored a career-high 26 points to go with 10 rebounds on 5/12 vs. San Antonio, the first 25/10 game of his career, making him the first Warriors rookie with a 25-point, 10-rebound game in the playoffs since Billy Owens (25 points, 11 rebounds) on 4/23/92 at Seattle and the first to do so in the second round or later since Mitch Richmond (25 points, 13 rebounds) on 5/9/89 at Phoenix. •	Made his postseason debut on 4/20 at Denver, totaling eight points. •	Appeared in 75 games (73 starts) over two seasons with North Carolina, averaging 16.3 points, 5.5 rebounds and 1.3 assists in 29.3 minutes while shooting 43.0 percent from the field and 34.9 percent from three-point range. •	Helped North Carolina to consecutive Elite Eight appearances. •	Appeared in 38 games (37 starts) as a sophomore, leading the team in scoring with 17.1 points (third in ACC) to go with 5.2 rebounds, 1.1 assists and 1.08 steals in 29.2 minutes, earning First Team All-ACC honors. •	Also earned Second Team All-America accolades from NABC and Third Team from The Sporting News. •	Named to the All-ACC Tournament Second Team, scoring 23 points in the ACC championship game on 3/11 vs. Florida State. •	Appeared in 37 games (36 starts) as a freshman, averaging 15.6 points (tops among ACC freshmen), 5.8 rebounds and 1.4 assists in 29.4 minutes, earning ACC Rookie of the Year honors and a spot on the All-ACC Second Team. •	Also earned Freshman All-America honors by USBWA and FoxSports.com and was a USBWA All-District pick. •	Garnered First Team All-ACC Tournament honors with averages of 24.7 points and 5.0 rebounds. •	Tied a conference record for most points in an ACC game by a freshman with 40 points (12-17 FG, 6-8 3FG, 10-11 FT) in the ACC semifinal on 3/12 vs. Clemson, including 14 of UNC’s 19 overtime points. •	Earned NCAA East Regional All-Tournament accolades, helping UNC to the Elite Eight with 21.0 points and 8.3 rebounds in four games. •	Earned ACC Rookie of the Week honors three times. •	Participated in USA Basketball Men’s National Team Minicamp in Las Vegas in the summer of 2015 alongside teammates Stephen Curry, Draymond Green and Klay Thompson. •	Was one of 13 players named to the 2014 USA Men’s Select Team that practiced with the USA Basketball Men’s National Team during its training camp in Las Vegas prior to the 2014 FIBA World Cup. •	Was one of 27 players invited to participate in the 2013 USA Basketball Men’s National Team mini-camp in Las Vegas. •	Was a member of the USA Junior National Team and had a 46-point, 14-rebound performance against Serbia in 2009. PERSONAL: Mother is Shirley Barnes...Has one sister, Jourdan-Ashle...Full name is Harrison Bryce Jordan Barnes...Given the middle name “Jordan” after Michael Jordan, whom Barnes’ mother was a big fan of...Is close to his high school coach Vance Downs...Won numerous accolades as a prep at Ames High School, including The Sporting News’ 2009 National High School Athlete of the Year, USA Today’s 2010 National Player of the Year and the Morgan Wootten Award as the 2010 National Player of the Year (award also considers character, leadership and student-athlete values)...Led Ames to back-to-back undefeated state championships, winning 53 consecutive games (26-0 in 2009 and 27-0 in 2010)...Named MVP at McDonald’s All-Star Game, the Nike Hoop Summit and the Jordan Brand Classic...Named First-Team Parade and USA Today All-American...As a senior, averaged 27.1 points, 10.4 rebounds, four assists and four steals while shooting .431 from three-point range...Broke Iowa’s state scoring record previously held by Fred Hoiberg (1,787 points)...Ames went 89-9 in his four years, going undefeated at home in each of the last three and winning four-straight conference championships...Named two-time Iowa Gatorade Player of the Year, two- time First Team All-State and Iowa’s Mr. Basketball…Also competed in track & field (high jump and long jump)...Played saxophone and sang in the school choir... Attended Ames High School with Bulls guard Doug McDermott...Brought the Larry O’Brien Championship Trophy home to Ames, Iowa, over July 4th Weekend, where he served as the Grand Marshal of the Ames July 4th Parade...July 13 was declared “Harrison Barnes Day” in Ames, Iowa, by the mayor, who handed Barnes a key to the city...In the summer of 2014, opened a PO Box so fans could send him items that he would autograph and send back...Also served a week- long externship at Facebook, meeting, working with and shadowing Facebook employees, while offering a professional athletes’ perspective to the company’s development team...Has traveled to China during each of the last three off-seasons as part of the NBA Nation tour, visiting and interacting with fans at various events...During the 2013-14 season, played host to a Make-A-Wish child during the season, hosting 14-year-old Des Moines, IA, native Cole Vitiritto and his family for several days of Warriors related activities that included personal outings with Harrison and special gifts for Cole and the entire family...Has hosted Holidays With Harrison events during the holidays, surprising youth essay contest winners with all-expenses paid shopping sprees at the adidas store in San Francisco...Is a big supporter of the Boys & Girls Clubs of America and serves as a board member for the Boys & Girls Club of Oakland...Served as an honorary coach for the NBA Cares Special Olympics Unified Sports Basketball Game at NBA All-Star 2013...Enjoys watching international soccer and traveled to Brazil during the 2014 FIFA World Cup...Is a fan of FC Barcelona and brought the Larry O’Brien Championship Trophy to a practice when the team made a stop in the Bay Area before attending a match between Barcelona and Manchester United at Levi’s Stadium in the summer of 2015... Is on Twitter @HBarnes.